Our secret project revealed: an audiobook! As of today, Deadstar Publishing has entered the age of the audiobook! For the last two years we’ve been working behind the scenes with In Ear Entertainment negotiating rights to bring you audiobooks. The fruits of our labour are starting to appear and last week we announced via our newsletter (what? You don’t subscribe to it? 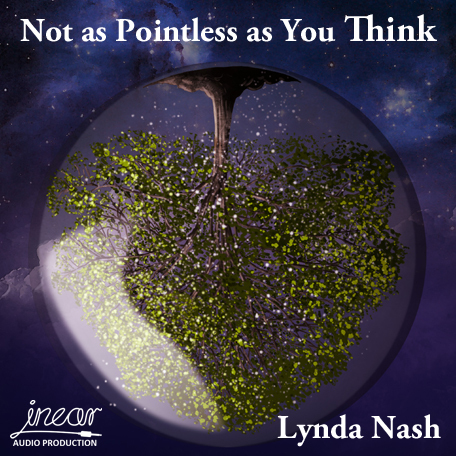 Click here to change that) that Lynda Nash’s Not as Pointless as You Think is now available. Released in MP3 (plays anywhere, on anything) and bookmarked MP4 (iTunes compatible, and you can skip from story to story) the files are DRM-free and are voiced by BBC1 Sherlock actress Georgie Leonard and veteran of several BBC radio dramas, Ian Baldwin. As this is our first foray into audiobooks we want to hear your feedback – and don’t forget our reviewer programme, so if you review the audiobook somewhere we’ll give you an ebook as a thank-you. Linking to the Dexter’s Half Dozen guys’ homepage. Updating our shop’s url settings so you don’t need to speak machine to understand how to find our cool stuff. Starting our ebooks/ecomics release schedule rolling. That’s it for the time being – but we’ve got more improvements planned. Keep checking back for more info… or if you haven’t already done so, subscribe to our newsletter for early access sneak peaks!